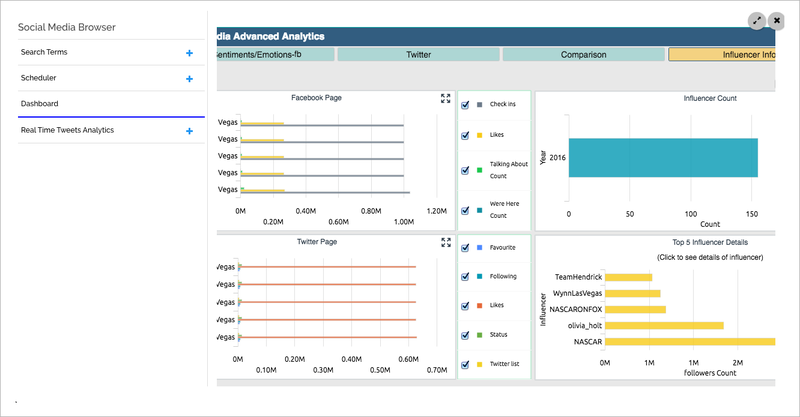 Our SMB platform provides a common launchpad for Searching, Collating, and Analyzing Social Media data - A comprehensive solution for you to input your search term, fetch relevant data from various social media/e-commerce sites and visualize the overall sentiments, moods, and diverse other Analytical KPIs delivered via our BDB dashboards. Collate relevant tweets out there in the Twitterati world. Analyze the voluminous data collected from various models. Get positive, negative, and neutral sentiments out of your expressive texts. Identify your major Social Media Influencers. 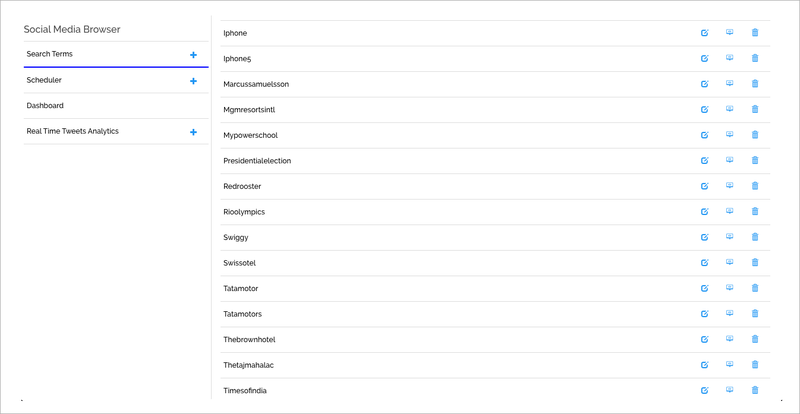 Search the desired content from an e-commerce website by entering the appropriate keywords in the product search page. Gather time bound reviews about your sought-after products from popular e-commerce sites like Amazon, Flipkart, Team-BHP and perform Competitor Analytics to get the best deal. Schedule ‘Search’ for your looked-for products based on your requirements. Monitor the data-fetching process in real-time. Analyze your data with JAVA and MySQL based technologies. Avail innovative technologies like Apache Spark, Apache Kafka, and Apache Cassandra to aid into your big data environments. 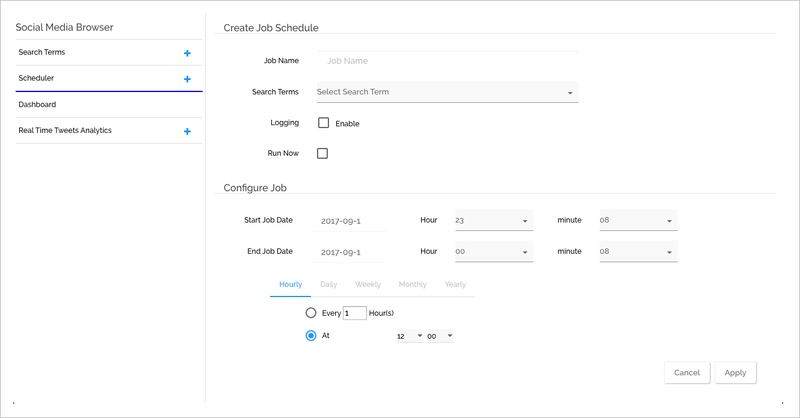 Get a complete picture of how your search will appear on the BDB Dashboards featuring multiple charting elements to visualize your searched data. Get focused analysis by analyzing feedback based on specific people, brands, and ad campaigns. Come up with effective marketing strategies by monitoring your business ad-campaigns. Identify the effectiveness of your product. Use Social Media insights to plan future products and promotions. Discover key-factors that are important for your organization’s growth. Locate the most suitable employable candidates. Obtain appropriate business objective and honest product feedback. Grow and enhance your business reputation.